We strive to offer the same consistent gourmet quality coffees time after time. To craft exceptional coffees, we start with exceptional beans and conduct physical testing on bean size, moisture and density. We also conduct multiple sensory evaluations to match our flavor profiles on the critical characteristics of aroma, flavor, acidity, body, aftertaste, uniformity and balance. With precision roasting technology and equipment, we roast each variety to guarantee maximum, consistent coffee flavor. We utilize state-of-the-art laser technology to analyze coffee particle size for optimal extraction of flavor. Our advanced blending system delivers delicious roasts to match our precise flavor profiles. Our coffee is packaged almost immediately after roasting and we carefully remove any oxygen to assure your coffee stays roaster fresh. 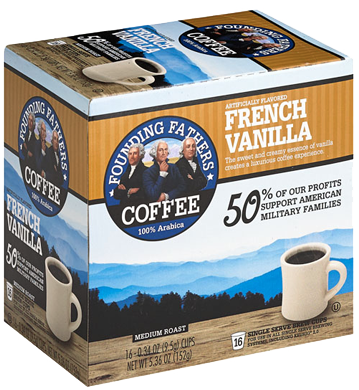 Founding Fathers Coffees are the freshest on the market -- all are made within a week of shipping to customers! 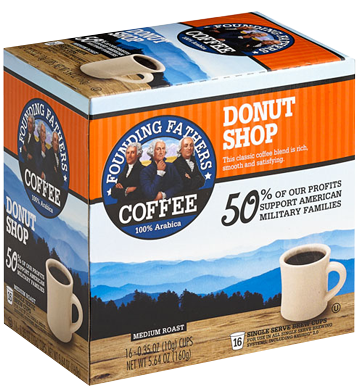 Want to offer Founding Fathers Coffees in your stores? Contact us today! 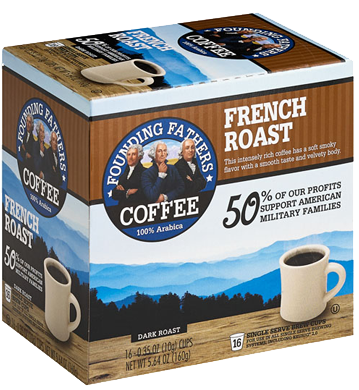 Available in 12, 16, 36 and 80 Count Brew Cups, 12 oz. Bag Ground Roast and Espresso! Medium Roast | ​This classic coffee blend is rich, smooth and satisfying. ​Dark Roast | This intensively rich coffee has a soft smoky flavor with a smooth taste and velvety body. 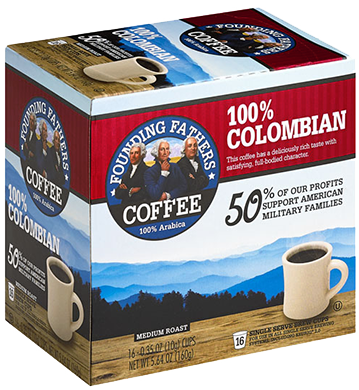 Variety Packs of brew cups available in 36 and 80 ct.
Load the single serve cup into the brewer. Select the 8-fl oz. setting on the brewer for the best taste. To prevent dripping upon completion of brewing, tilt the single serve cup upon removal from the brewer.